On-line registration ends at midnight Tuesday, September 25th, 2018. Must register by midnight September 4th, 2018 to receive a commemorative t-shirt. Fall Century is a charity fundraising event. If ride is canceled due to inclement weather or other reasons, there will be NO REFUNDS. Riders may register on ride day, though ride-day registration is $10 more than on-line registration prior to the cut-off date. Rest stops are provided for registered riders only. Support for riders will end at 4 pm on ride day. Ride support may end early in the event severe weather conditions develop. Any rider under 18 years of age must be accompanied by an adult who is also on a bicycle and riding with them. 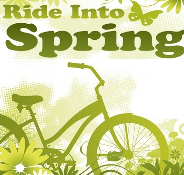 Ride-day registration is available ... see you Saturday. The Fall Century is the Tulsa Bicycle Club's fully-supported, fall cycling tour with multiple ride lengths to choose from, including 10-ish, 30-ish, 50-ish, 62-ish and 100-ish miles (all ride distances are approximate). The Tulsa Bicycle Club has sponsored this ride every fall for many years, and it has become a fall tradition for Tulsa-area cyclists and for a host of out-of-town cyclists as well. Many Tulsa cyclists claim the Fall Century as their first century ride. The routes are great and the rest stops are legendary. The time of year makes it a great time to either test the strength and endurance you've built over the year or take a relaxing ride of shorter length to celebrate the arrival of fall after the long, hot, Oklahoma summer! TBC's Fall Century will start and finish at the Whirlpool Corporation, 76th St N. and Yale, and will feature top quality rest stops throughout the route. Rest stops are provided for registered riders only. Support for riders will end at 4:00 p.m. on ride day. To assure a t-shirt, completed registrations must be received no later than Tuesday, September 4th. Online ride registration closes Tuesday night, September 25th. The ride proceeds "rain or shine." There will be no refunds; unclaimed t-shirts will be considered donations at the end of the day.